We're about a month out from the second Gearbox Community Day on Sept. 15th, and what better way to get pumped up and excited for the panels and the Borderlands 2 launch party extravaganza than to go back and listen to last year's panels. I'll eventually put up all of the panels for the games talked about over the course of that day (Aliens: Colonial Marines, Borderlands, Brothers In Arms: Furious 4, and Duke Nukem Forever) but for now enjoy the dark, scary, and xenomorph filled panel of Aliens: Colonial Marines. Due to some legal reasons (at the time), I had to edit out the audio for the gameplay demonstrations (left the recorder running). 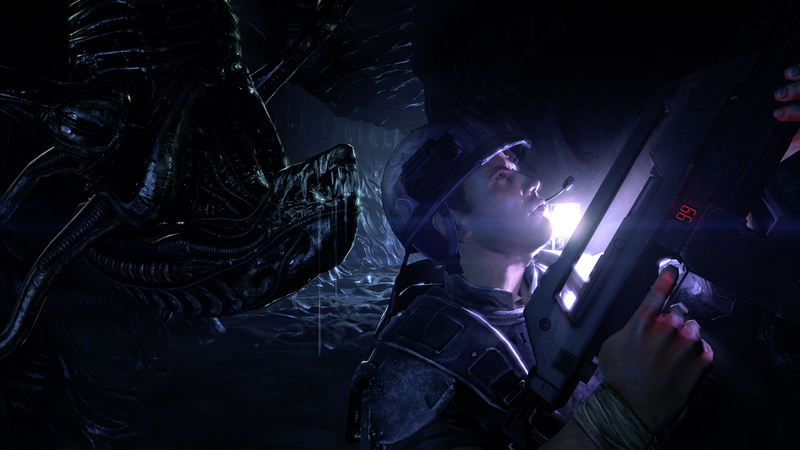 Since it's been over a year and the demo shown off for Aliens: Colonial Marines has since been shown off publicly (you can head over to IGN to check it out if you want), I still don't know yet if it's okay to post that stuff. I'm also just lazy and don't want to go back into my archive and hunt down my original un-edited file, so you'll just get stuck with this one (just in case it's still not "okay" to have that gameplay audio and commentary). Sit back, relax, and take in all the alien goodness of the Aliens: Colonial Marines panel.